Very kind owner and stuff, kids friendly, great location, lovely spacious rooms with great views, tasty breakfast. Suite with Seaview. Excellent. Balcony table & chairs. All good restaurants out the front. At check out they saved me €120 after giving me a better rate. Did not ask for this. Great service. Location was awesome and little balcony was nice. 3 star property though. 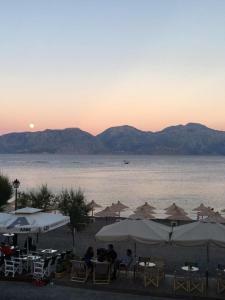 Perfect location on a small beach (Kitroplatia) and very close to the city centre and the lake. Friendly staff. Spacious and very clean rooms. Great view from the room, spacious apartment, good breakfast, nice staff, kids area available- just awesome! Everything! Adorable apartment right on the beach! 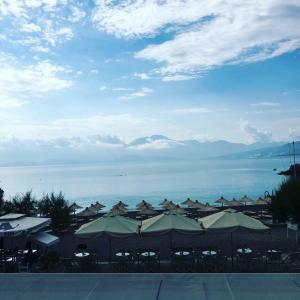 The best beach In Agios Nikolaos! Joanna is amazing! She recommended the best restaurants, supplied a map, answered my zillion questions, made breakfast to order, stowed my bag while I enjoyed the beach my last day, and then arranged for a taxi to the bus station. Highlight of my trip! I’ve already recommended it to friends and hope to return some day! Location was great, views from the suite were wonderful, the staff were very friendly and helpful. The breakfast was good, and the staff serving and preparing the breakfast were cheerful and pleasant. The bed was very comfy! We had breakfast on the terrace with a lovely sea view. The breakfast was delicious and it was served to the table by the very friendly hostess. 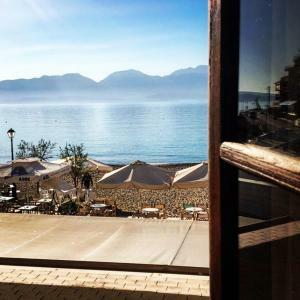 Lock in a great price for Palazzo Arhontiko Apartments – rated 9.3 by recent guests! 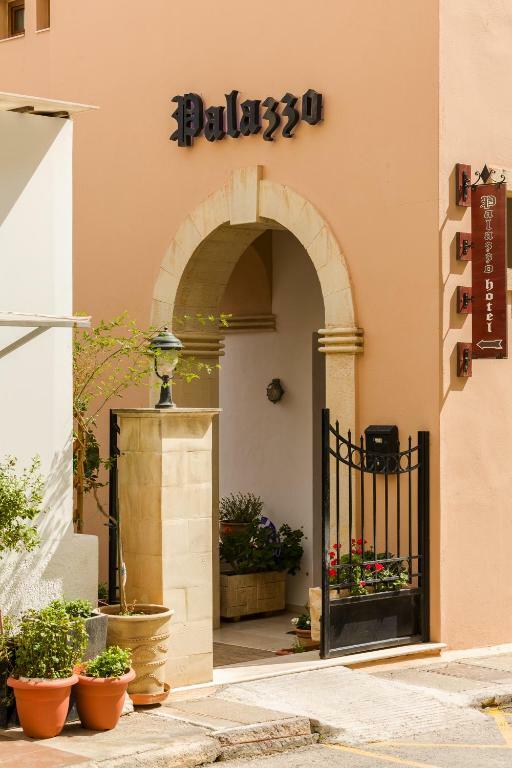 Palazzo Arhontiko Apartments This rating is a reflection of how the property compares to the industry standard when it comes to price, facilities and services available. It's based on a self-evaluation by the property. Use this rating to help choose your stay! One of our best sellers in Agios Nikolaos! 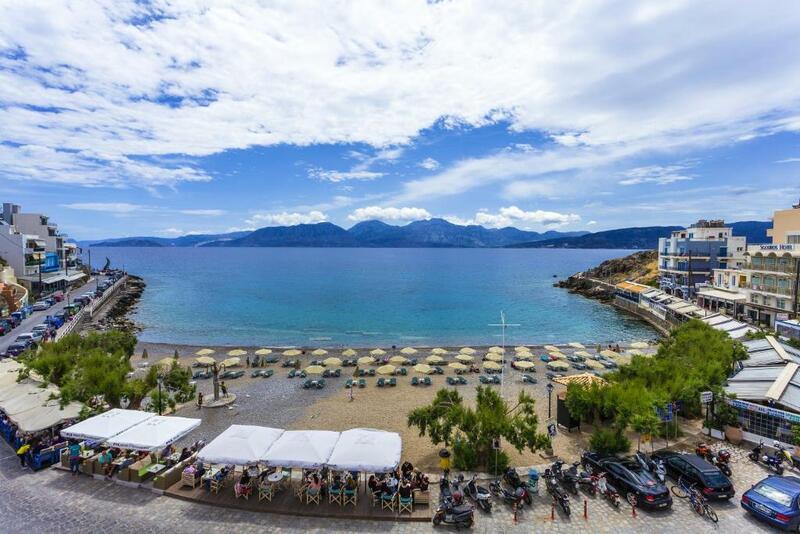 Located on Kitroplateia Beach Palazzo Apartments are a few minutes’ walk from Agios Nikolaos’ town center. 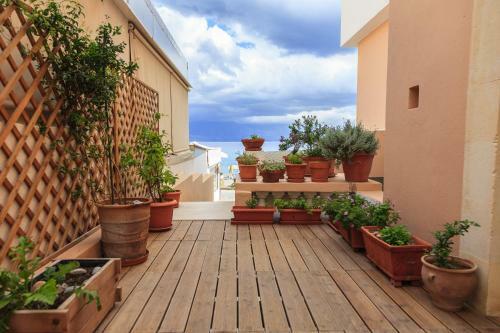 These self-catered, air-conditioned apartments offer free WiFi throughout, while some enjoy panoramic views of the Mirabello Gulf and Sitia Mountains. 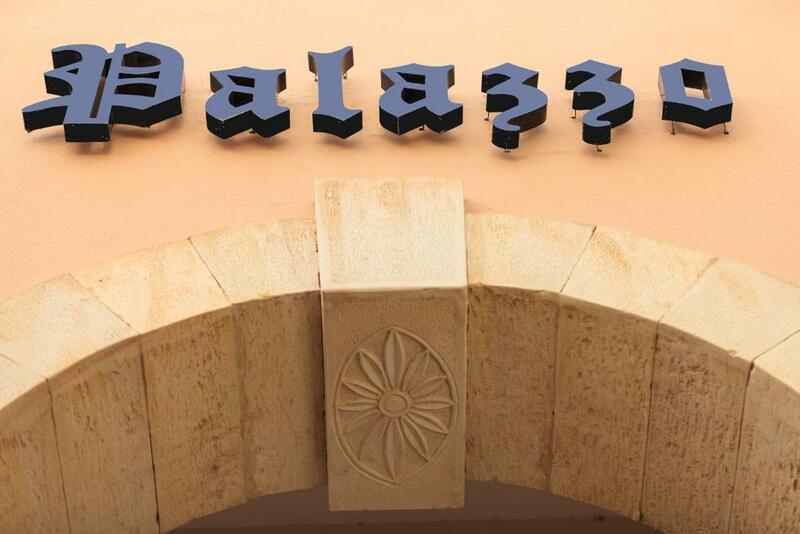 Guests can have drinks and refreshments at Palazzo café. A rich continental breakfast is served daily at the hotel's veranda with views over the sea. At the on-site lounge guests can enjoy their morning snacks and drinks, beach cocktails and refreshments. Take-away services are provided. Apartments Palazzo offer a library and reading corner. There is a playground for younger guests., as well as babysitting facilities. Massages can be arranged. All the attractions of Agios Nikolaos are just a few-minutes’ walk from the Palazzo. Private parking is possible at a location nearby Palazzo Arhontiko Hotel Apartments. 뀐 Located in the top-rated area in Agios Nikolaos, this property has an excellent location score of 9.8! When would you like to stay at Palazzo Arhontiko Apartments? This apartments has a separate living room with a sofa bed and double bed in bedroom. It opens to a city-view balcony. Sea View front balconies with double or twin beds and a sofa bed in living room. Some of them have separate living room. Fully equipped studio with living room and small balcony. Please note that the studio cannot accommodate extra beds. One child up to 10 years old can be accommodated in an existing sofa bed. "Home away from home" as most of the guests describe. 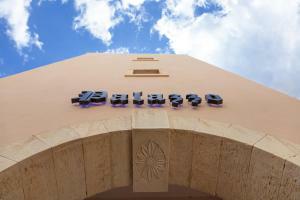 Palazzo apartments give you the signature of the original cretan hospitality! Guests can enjoy fresh coffee refreshments, snacks and cocktails by the elegant terrace and art hall of palazzo cafe. THIS IS POPI HERE! AWAITING TO OFFER YOU SOME OF MY DELICIOUS CAKE AND GIVE YOU THE BEST RECOMMENDATIONS FOR EXPLORING, RELAXING AND DINING! House Rules Palazzo Arhontiko Apartments takes special requests – add in the next step! Palazzo Arhontiko Apartments accepts these cards and reserves the right to temporarily hold an amount prior to arrival. Please note that all guests are kindly requested to advise the Hotel of their arrival time. Please note that front desk operates for limited hours only. 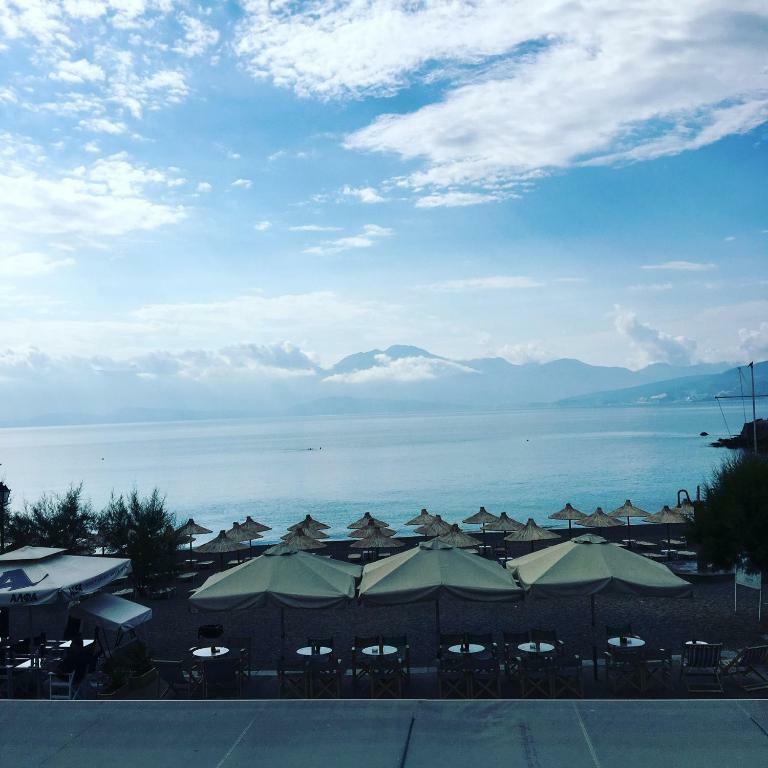 Please inform Palazzo Arhontiko Apartments of your expected arrival time in advance. You can use the Special Requests box when booking, or contact the property directly using the contact details in your confirmation. It would have been nice to have espresso available for breakfast. Two out often rooms in this hotel do NOT have a view of the water—we were stuck in one of the two dark rooms! The bathroom was very small and tight even for Greece. Also, the tub should have handles so as not to slip and fall getting in and out. We did like the great restaurant (forgot the name) around the corner offf the harbor walk from the hotel. Our waiter was wonderful. Location....close to harbor and pebble beach. Overall, not much to criticize. There was noise in the evening and in the morning, but this can be cut off by closing the windows. The double bed was placed with one side to the wall, so to get out you had to climb over the other person, but if you do not like that you can use the extra bed provided. The location is unbelievably great. Awesome view from balcony, nice beach with crystal-clear water just a few steps away, and everything more or less in the town centre! Service by Joanna was great in all respects. Amazing location-family friendly & beautiful spacious rooms. It is an exceptional place with perfect comfort and nicest people ❤️ We surely loved the stay. The water in the beach nearby is a little salty (best wear goggles) and you have to arrive very early in the morning to find an available beach bench and a palm roof. Poppi was an excelent host, the place was extraordinary. A wonderful experience. Could not fault anything. The woman at the front desk was absolutely gorgeous. Position excellent. Well built and wonderfully located if you get a sea view overlooking the bay. Very competent and attentive staff . Well appointed apartment with proper wine glasses so aperitif became a bottle of fine red from a local shop, on the balcony!